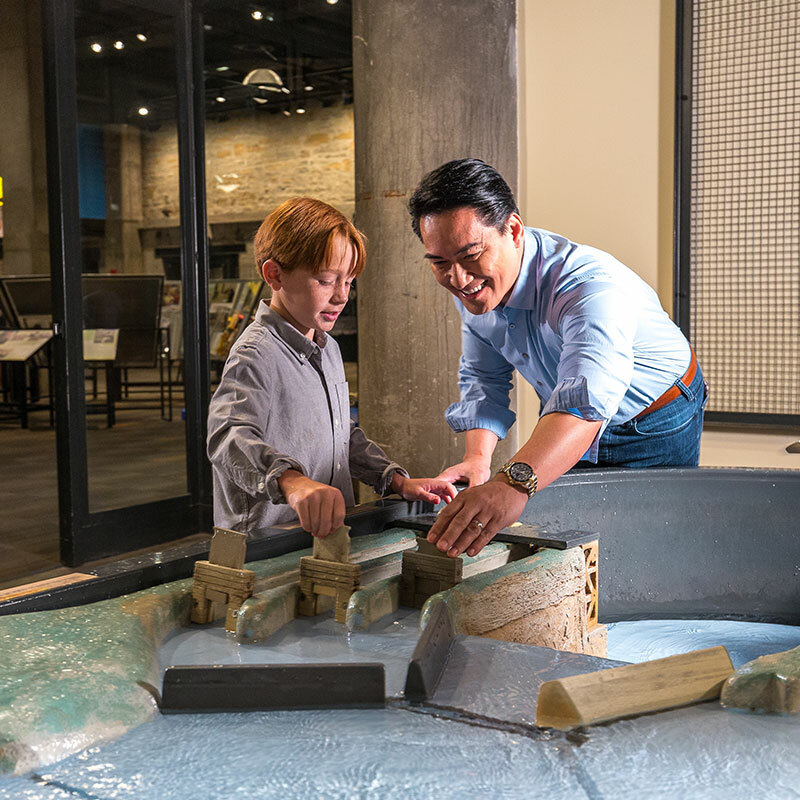 A unique concoction of raw power, dramatic views, and hands-on fun propels you through Mill City Museum. See 19th-century flour milling machines, view vintage advertising, sit at a huge dinner table outfitted to feed a wheat harvest crew, trace the journey of wheat from farm to market, design your own cereal box, and meet a history player from the city's past. 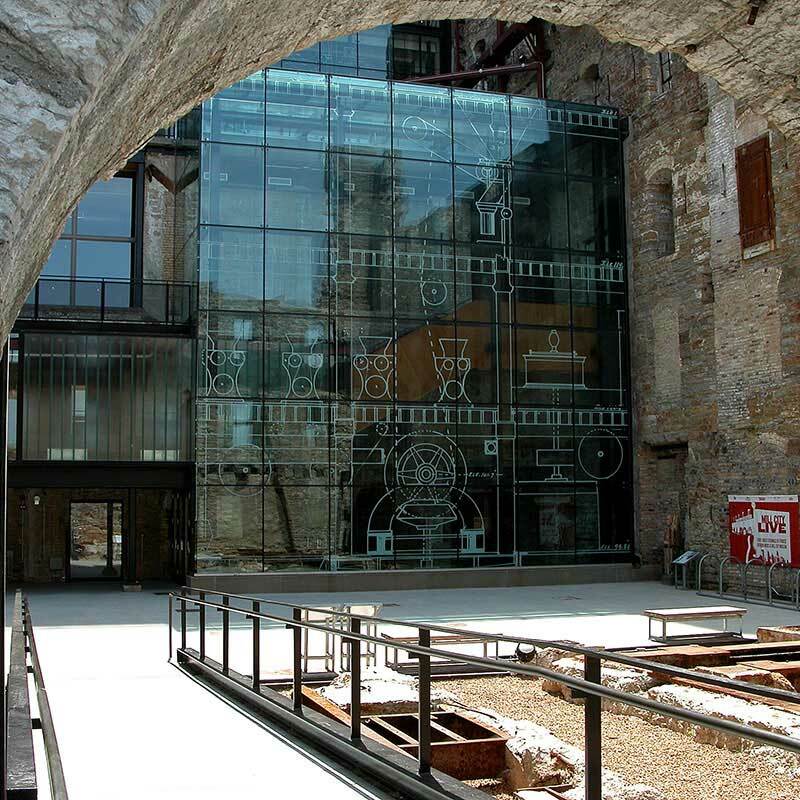 Mill City Museum is an adventure for the senses. Don’t miss these signature experiences! Purchase tickets for admission at the tickets/information desk. 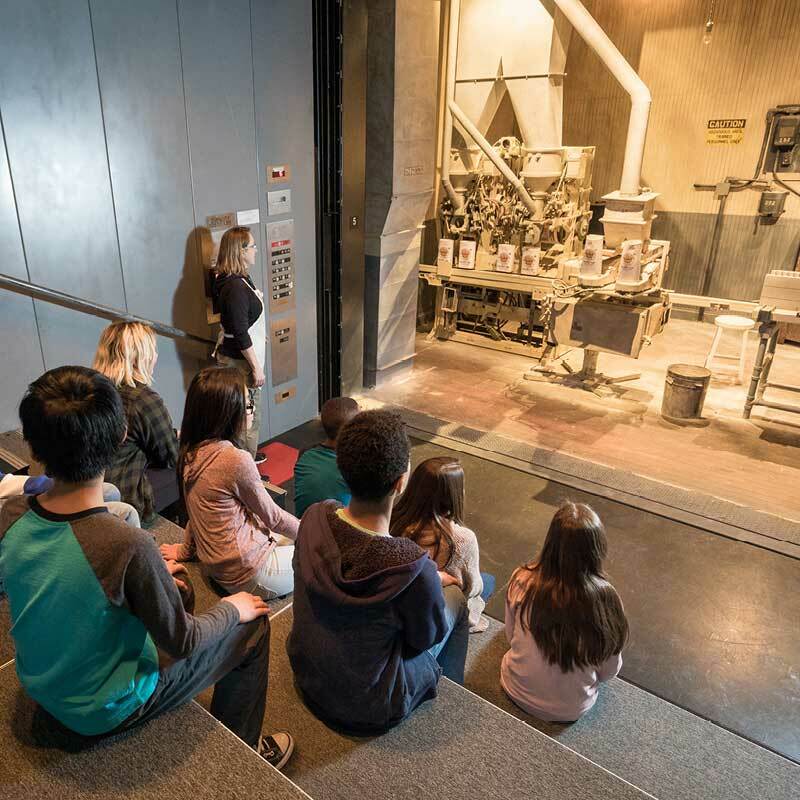 Climb aboard our giant elevator to travel through eight levels of the building and back through time, as you experience the sights and sounds of the workers and machines that made Minneapolis the flour milling capital of the world. Glimpse scenes of the old mill while the voices of the former workers share their stories and carry you through life at the Washburn A Mill. Uses historic film and photographs and the dramatic use of lighting, sound, and special effects to bring to life the powerful, noisy, and often dangerous process of transforming grain into flour. Receive your time-specific reservation for the Flour Tower at the ticket/information desk. Follow your nose to the Baking Lab for exhibits, demos, and samples of fresh-baked treats. Flour milling companies tested and perfected their flours in areas that might be thought of as the original test kitchens. 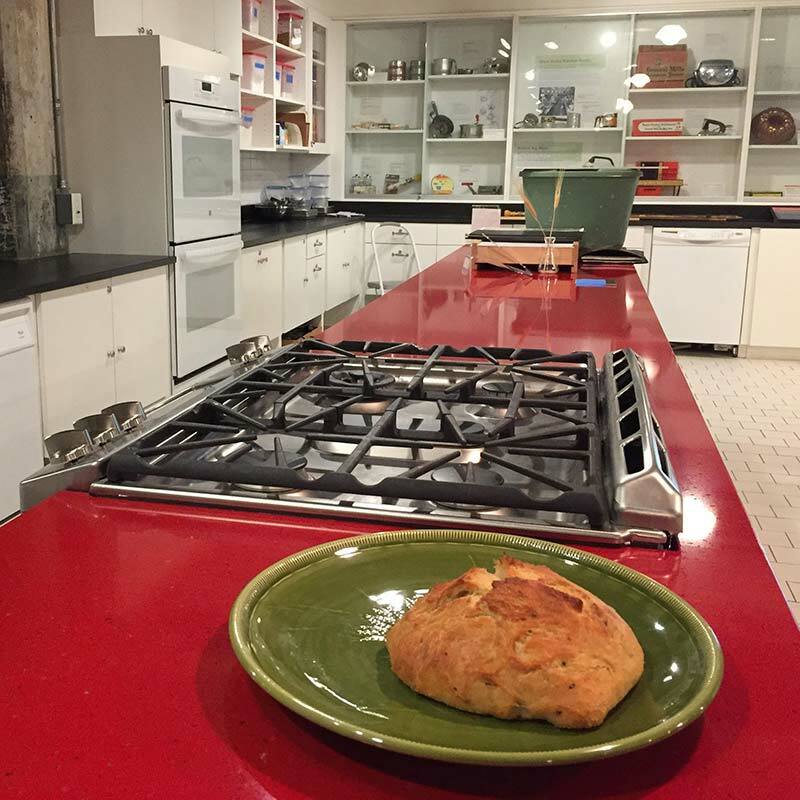 In Mill City Museum's Baking Lab, you can, too! See how different grains of wheat make different kinds of flour, and what that means for the baked goods they’re used for. Taste freshly baked samples, and see exhibits that showcase the story of these kitchens. You might even catch a baking demonstration or history player performance, too! Time to get your hands wet! At the water lab you’ll see firsthand the Mississippi powered all the mills in Minneapolis. 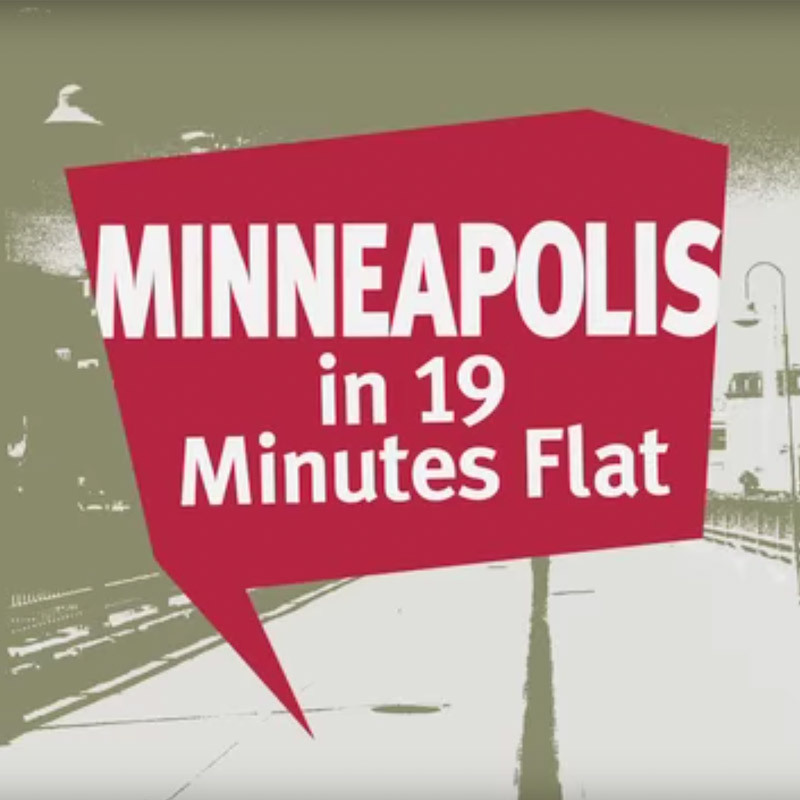 Learn how the falling water of St. Anthony Falls powered first the logging and lumber industry and later, the flour milling industry. 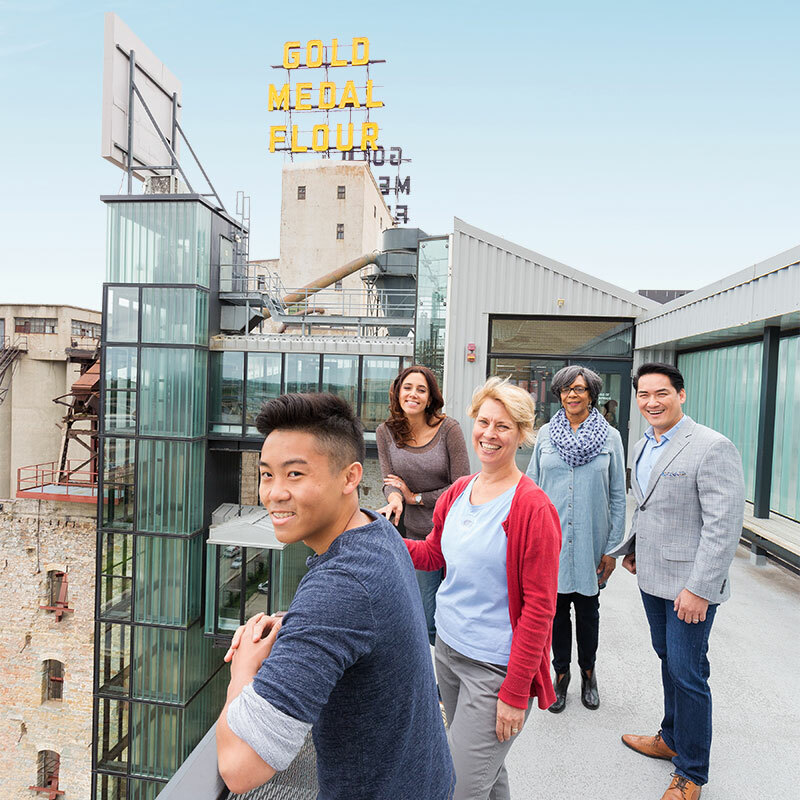 Get out your camera and enjoy the panoramic view of the Mississippi River, St. Anthony Falls, and the Ruin Courtyard from the museum's Koch Rooftop Observation Deck. The bird's-eye view of the historic Stone Arch Bridge, Mill Ruins Park, and the emerging urban landscape of new and renovated buildings makes this a favorite spot for photographers. Weather permitting. The ruins created by a 1991 fire in the abandoned mill provide a one-of-a-kind setting for events, live music, and casual enjoyment. History and architecture enthusiasts in the Charles H. Bell Ruin Courtyard will notice the footprints of the old mill’s machinery along the walls and in the ground, and the scenic view of the river will delight visitors of all kinds. Weather permitting. Meet the people who helped shape the city! These costumed museum interpreters portray real people from history through interactive monologues illustrating themes connected to their lives. 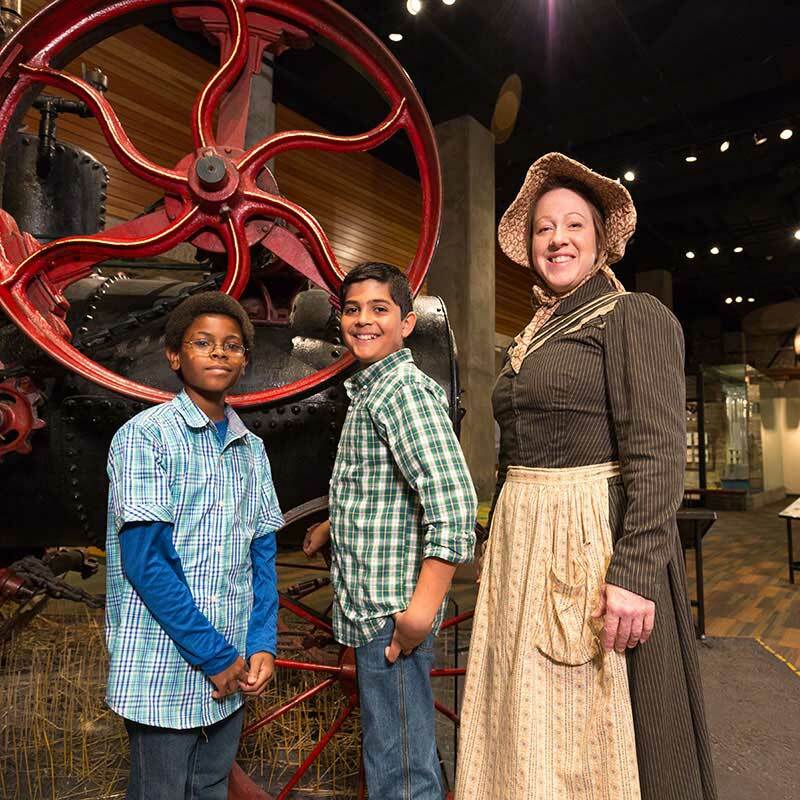 Using stories and artifacts as tools to invite discussion and engage guests in active, inquiry-based learning, the history players bring pages from Minnesota’s history to life. History players most often perform on weekends. Each performance lasts about 15 minutes, with time for questions and discussion afterwards.